The Small Press Network (SPN) has announced the appointment of Tim Coronel as general manager. Coronel, who was previously communications manager for SPN, takes over from Matthia Dempsey, who has held the role since 2016 and will continue to coordinate this year’s Independent Publishing Conference, alongside secretary of the SPN board Michaela Skelly, who is responsible for conference sponsorships. SPN chair Michael Webster thanked Matthia for her contribution to the association’s development and success over the past few years, highlighting the growth in membership and services, including the annual conference, mentor program, Christmas catalogue and the revised ASA author contract. ‘She’ll be missed, but we are delighted that’s she’s agreed to remain connected to SPN,’ said Webster. SPN also announced that it has secured funding from the Copyright Agency’s Cultural Fund for three more years, which will support the annual Independent Publishing Conference until 2021. This news story first appeared in Books+Publishing on 16 July 2018. 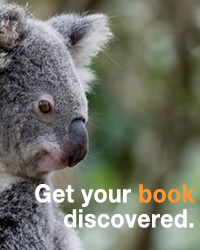 Books+Publishing is Australia’s leading source of print and digital news about the book industry, keeping subscribers up to date with the latest industry news, announcements, job advertisements, events, trends and more.